Environmental Lobbies – Another NRA? 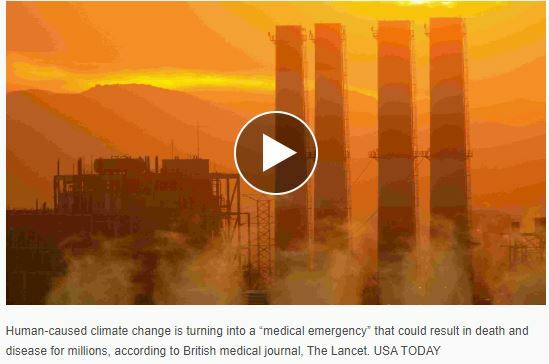 Today’s USA Today website had an interesting editorial based upon the most recent climate change study. They suggest that the results are so dire that something equivalent to the National Rifle Association should be formed to push environmental agendas. Here … read it for yourself. Does this really make sense? Don’t we already have a host of environmental groups with huge impacts such as the NRDC and others? Hasn’t the NRDC made huge impacts in the US on a host of energy efficiency and resource sustainability issues? I think so? Hasn’t the work of Amory Lovens with his books, lectures, and testimonies changed the way we plan energy supply systems? Sure has! In fact, we are the victim of our own successes … energy use in the US has stagnated and even fallen, and we are producing more energy than ever before! Maybe the intent here is simply to create another organization that can spend money wastefully like all the political ads we have seen this last few months. I don’t know about you, but I would have rather seen all that money spent doing things that add to the well being of the planet rather than fill the airwaves with polarizing rhetoric. I have stopped watching … perhaps you have as well.